For the record I have yet to try any of these products, although in principle I'm not opposed. If you're going to get drunk (or wear jeans) anyway, might as well stick with the theme--even if the ads are unbelievably cheesy. 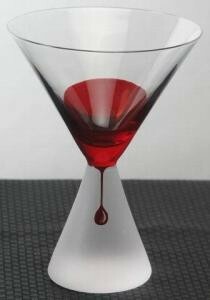 By the way, you can get your own martini glass like the one at the top of the page here.